Intel's “Rock Solid” reliability starts with our “best in class” design and uncompromising quality standards. Rigorous testing and extensive validation means you can trust it to perform as promised. Intel chassis are designed intelligently to maximize the return on your investment; power efficiency, maximum performance, and flexibility ensure you get more for your money. Intel is committed to providing you an unmatched customer experience with a standard 3-year warranty, 24/7 access to our experts, and confidence knowing you have Intel in your corner. Flexible, affordable and highly available, Intel storage enclosures integrate with Quanta servers to provide enterprises simple and affordable IT infrastructure. 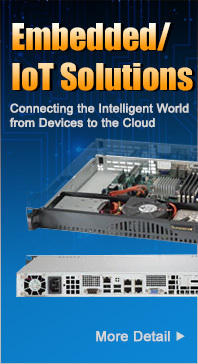 The 2U disk enclosure is designed to meet the needs of data growth and flexibility. Users could easily scale up the storage capability with the growth of their business, and access to critical data with high reliability because of the design of fully redundant controller modules, power supplies, hard disks, and cooling modules. 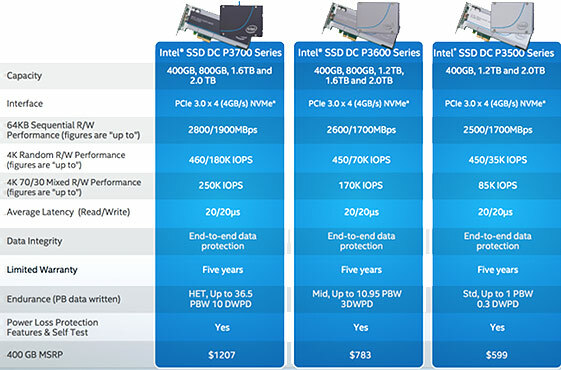 Intel offers the most advanced and broadest portfolio of solid-state storage solutions to support the enterprise infrastructure where SSDs and hard drives must integrate seamlessly in tiered storage environments. Advanced MLC PCIe and SATA SSDs provide choice for ultra-high performance and endurance, and ease integration into new or existing mission-critical servers and storage system, accelerating access to data. Intel helps modernizes data center storage by leading the industry in creation of a new Non-Volatile Memory Express* (NVMe*) storage interface standard. NVMe overcomes SAS/SATA SSD performance limitations by optimizing hardware and software to take full advantage of NVMe SSD technology. 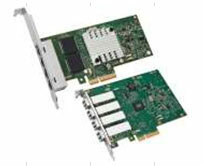 Intel® Ethernet Server Bypass Adapters are known for high performance, low latency, reliability, and flexibility. Intel® Ethernet Converged Network Adapters are the latest innovation in Intel’s leadership to drive 10 Gigabit Ethernet into the broader server market. Intel® Ethernet Server Bypass Adapters delivers all of the 10GbE performance in addition to business continuity in the event of a network failure.